Unusually the beamed and characterful main hall is on the first floor which is accessed by an external flight of stairs. It has a well equipped kitchen and facilities. Comfortable chairs and trestle tables are available for use. 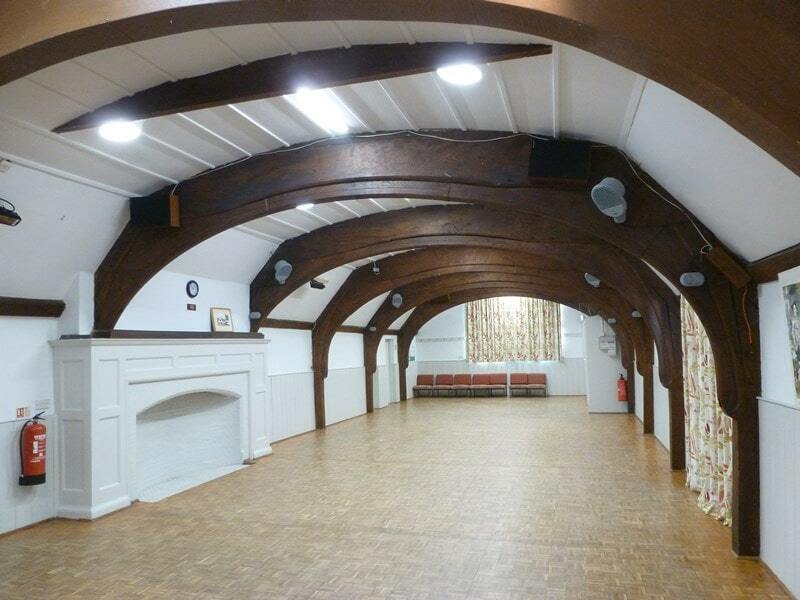 You can hire our Village Hall for almost anything – from weddings to funerals, from parties to business conferences, from art exhibitions to meditation weekends. To find our hire rates please go to the website www.kelsalevillagehall.co.uk, and any enquiries should be referred to kelsalevillagehall@gmail.com. The main hall can accommodate up to 100 people. There is wifi throughout. There is ample car parking available in the nearby village carpark.